Students of the University of Oklahoma love our rates and the convenience of our location. With our simple pricing, what you see is what you pay and there are no hidden fees or rates of any kind. We have small size units with month-to-month leasing options, allowing students to rent the space for the three-month summer vacation and nothing more. Don’t lug that heavy furniture back to mom and dad’s. Leave it with us! Call today. The woman we worked with was very helpful and friendly. The facility looked great, and we were extremely happy with our choice to work with 77. I had a large unit (not sure of the size - it was a few months ago since I removed all of my items), but from the time I made my reservation over the phone to move out day, all business with 77 Storage was great! I am back on the website in attempts to reserve another unit or two. Clean spaces, easy secure access, and convenient. Michelle young woman who helped me was very kind and helpful. Facilities were very nice and felt very secure. At 77 Storage Place, we believe in making your self storage experience as convenient and straightforward as possible. With month-to-month leasing, simple pricing, and some of the most competitive prices in Norman, OK, you’ll be sure to agree that storing with us is an easy, painless process. Our office hours run between 8:00 a.m. and 6:00 p.m. Monday through Friday, and 10:00 a.m. to 2:00 p.m. on Saturday, making us available to you almost any time of day. Take advantage of all the amenities we have to offer. The online bill pay option, drive-up accessibility, and enhanced security of our facility are just a few of the many helpful solutions we provide to our customers. Our office even sells packing supplies and can help you out with shipping services. With 77 Storage Place’s friendly staff, you’ll benefit from having a helpful resource for your moving and storage project. 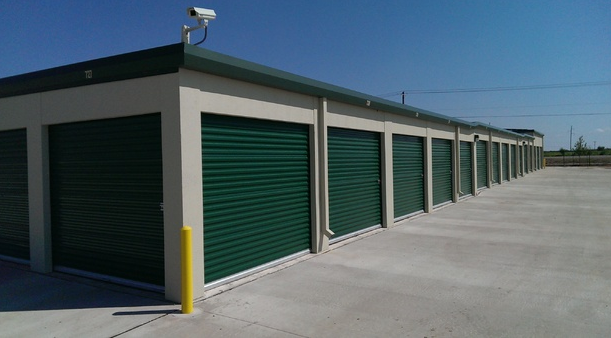 Reserve your affordable storage unit today!